A comprehensive new selection of fast-action spinning rods from Korum with modern Japanese inspired looks and performance. 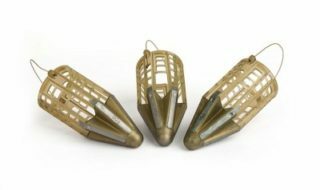 The tip recovery is perfect for accurate casting and the powerful reserves provide a superb action. The components used on these rods have been chosen for their durability for a wide range of spin fishing applications. Featuring a medium action, the 3-12g Speed Spin rod has been designed for fishing with a range of light lures including ultralight jigs, small spinners and small spoons. It features a sensitive tip, but power in reserve to set the hooks. Perfect for targeting smaller species like perch or trout. 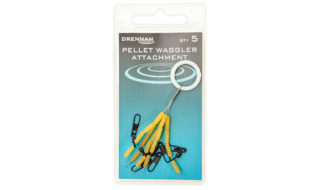 Great for ultralight spinners, small jigs, or small spoons. This medium actioned rod features a sensitive tip to help read the action of your lure. This rod is perfect for fishing with spoons, spinners, and small soft lures. The super-slim carbon blank has lots of power to set hooks in bony mouths. The ideal rod for trout, perch and small zander. Great for small spinners, small jigs, or small spoons. The Medium-fast action of the 5-20g Speed Spin rod lends itself to a wide range of predator fishing applications. From fishing with small spinners and spoons, to casting crankbaits and soft lures. Fast action for setting hooks and accurate casting. 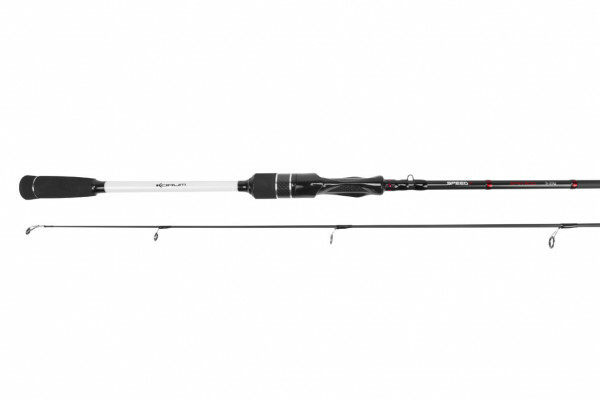 Featuring a fast action, the 6-24g Speed Spin Rod is perfect for pike, zander, and perch. This all-round rod will cast crankbaits, medium sized soft lures, and larger spinners. Its sensitive tip allows you to feel the lure’s action through the water. The ergonomic reel seat helps this by giving great feel through the rod’s blank. The fast action of the Speed Spin 7-28g Rod is perfect for casting crankbaits, spoons, large spinners or soft lures when targeting a range of predators. This rod will handle pike, zander and big perch with ease. The sensitive tip makes reading the lure’s action easy, while keeping the power needed to land big fish. An extremely versatile spinning rod. Ideal for crankbaits, spoons, large spinners and medium sized jigs. The perfect tool for catching big pike and big zander. The 8’ 6” 10-35g rod is capable of casting crankbaits, soft lures, jigs and spoons long distances. The fast action makes allows the angler to quickly connect with the fish, while keeping the sensitivity to reads the action of your lures. The lightweight blank makes the rod a joy to use for long periods of time! Ideal for crankbaits, heavy spoons, large spinners and larger jigs. Designed to cast large crankbaits, big spoons, or large soft lures, the 12-45g 9’ Speed Spin Rod offers the angler a perfect big fish rod. Whether you are targeting big pike, zander, or even catfish this rod has the power to land anything you hook. The powerful blank makes casting big lures easy. The durable components give reassurance in big fish conditions. Ideal for crankbaits, heavy spoons, large spinners and heavy jigs.